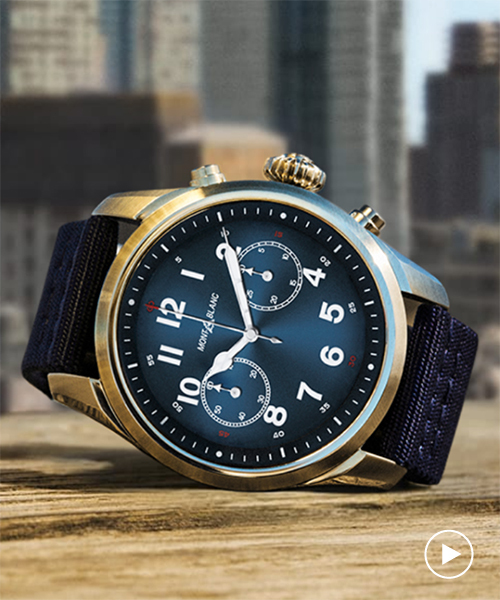 smartwatches are computerized wristwatches with functionality that goes beyond timekeeping. most have rechargeable batteries, graphical display, and touch screen options. montblanc returns to launch its second-generation smartwatch, shrinking its predecessor into a compact 42mm unisex model. 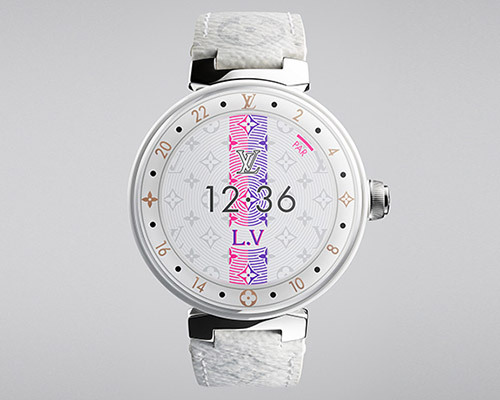 before its official release yesterday designboom had a chance to get hands on with the timepiece. 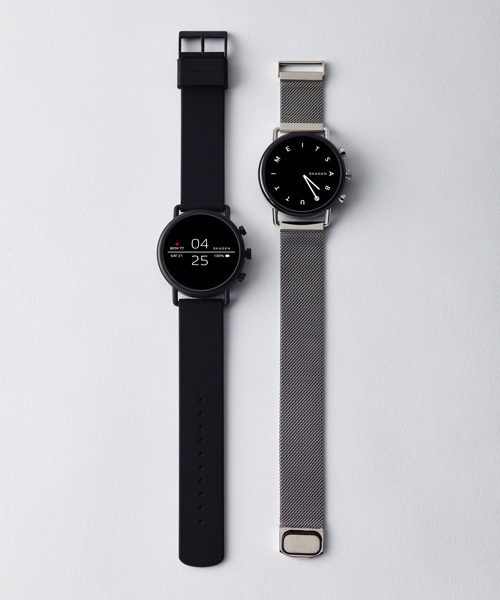 shown at IFA 2018, the skagen falster 2 smartwatch features a cleaner, slicker and more minimalist look than ever, as well as being a lot smarter. ‘kardia’ represents a significant breakthrough in proactive heart health by allowing people to discretely and accurately track their vitals. the adjustable strap fits small to large wrists and comes with three loop sizes to choose from, ensuring a custom fit. the approach capitalizes on unintentional EM noise emitted by many everyday electrical objects, such as kitchen appliances, computer devices, power tools and automobiles. 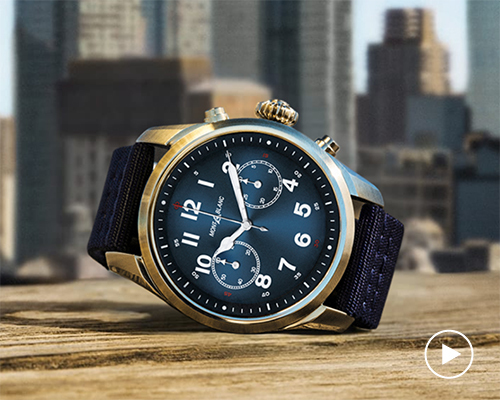 the luxury smartwatch is engineered to power a full range of features and a multitude of connectivity options so users can leave their phone at home and stay on the go over WiFi. the module of the smartwatch houses four cells of six active dots each - adequate for four braille characters to be displayed at once. the french designer constructed a 100% recyclable stand that manages the user’s magnetic charging cable and can swap colors for a more personal touch. a large variety of modules will be compatible with each other to ensure that users can build a smart watch tailored to virtually any application. 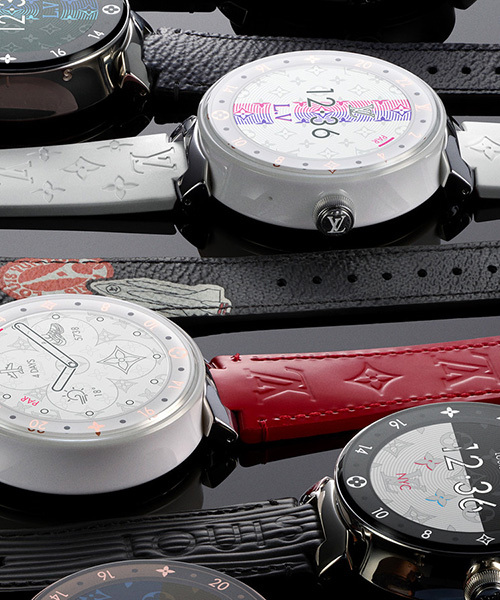 showcasing at the 2015 baselworld, the vector smartwatches, the 'luna' and 'meridian', provides uncompromising design, performance and functionality with an energy efficient 30 day life battery. countless blocks of cutting-edge technology, which you can snap together to build your own personal, unique wearable device. the collection consists of over 80 simple black and white visual models to fit within 144 by 168 pixel screens. conceived as a fitness tracker, the OLED touch display strap is capable of measuring steps, calories burnt and distance with detailed analysis of personal progress within a built-in app. the technology is supported by four advanced laser scanners which record the environment and identify obstructions such as columns, for example in an underground parking garage. the device, which communicates with the iPhone, features infrared and visible-light LEDs, along with photosensors to detect your pulse. 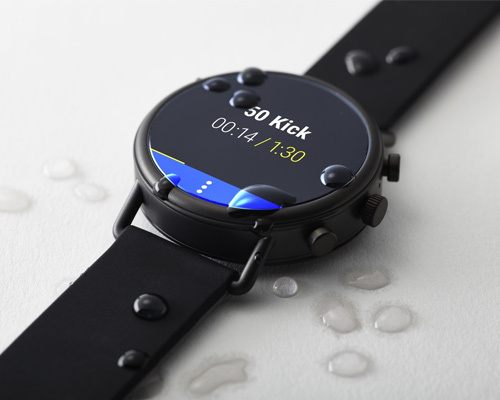 the timepiece incorporates a 2-inch curved super AMOLED display and intuitive user interface, allowing users to read messages and notifications with a quick glance.